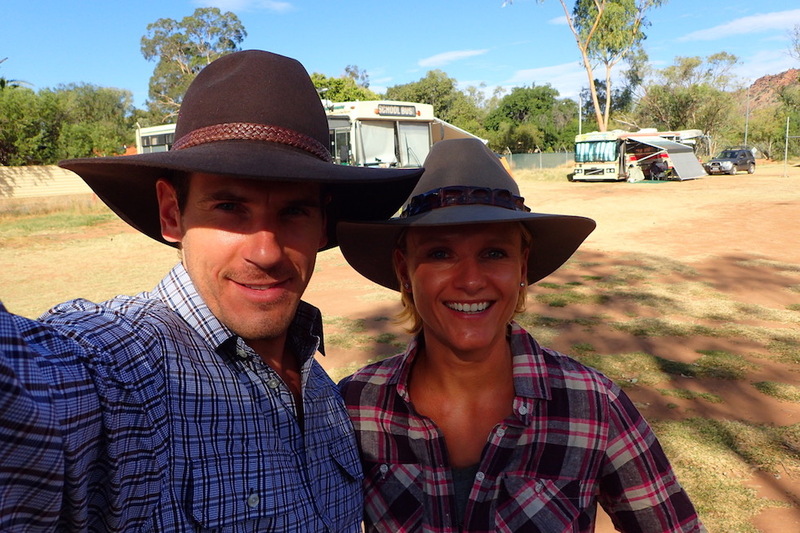 This easy going, Patrol driving, Aussie larrikin is one top bloke! Back in January 2017, he hit us up on Instagram when he saw our upcoming trip to Tasmania. 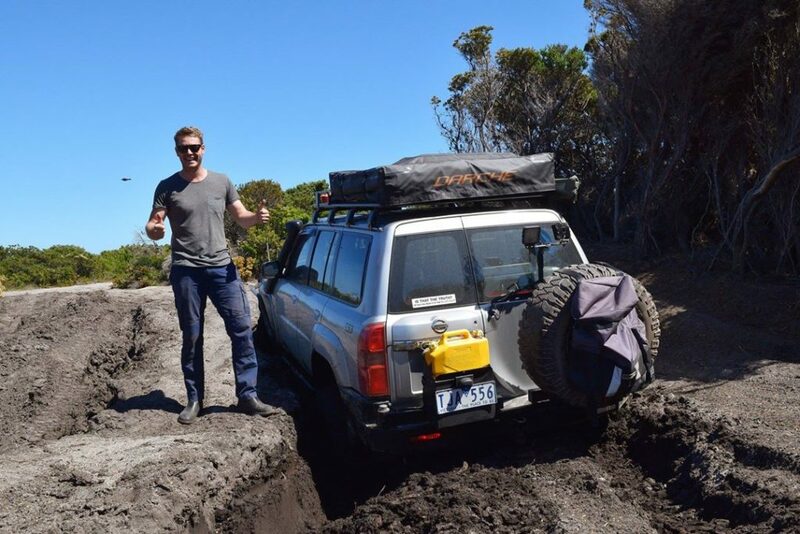 He was planning an adventure in Tassie and asked if were keen to meet up and explore some of the 4WD tracks. After stalking each other for a week, we thought, “what the hell, let’s give it a go”. His friends thought we might be swingers and lure him into our rooftop tent (NOT A CHANCE!) and our families told us to take a knife to be (Mr Winch does every night!) in case he was a nutcase! What did unfold was a memorable, adventurous trip with a like-minded traveller. We have no doubt that Kyle will be a good mate of ours for years to come! Kyle. Although every trip we go on, my mates tend to make up new call signs and have some fun with it. What is your current off-road vehicle including your set-up/living arrangements? 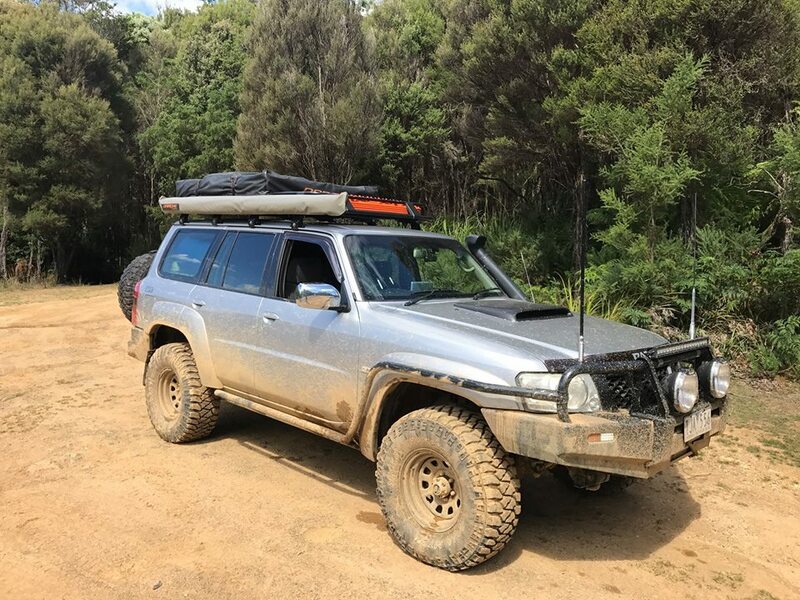 2005 Nissan Patrol. I’ve spent a bit of cash on it over the years on modifications, but as always, there are a few more things I’d like to do. 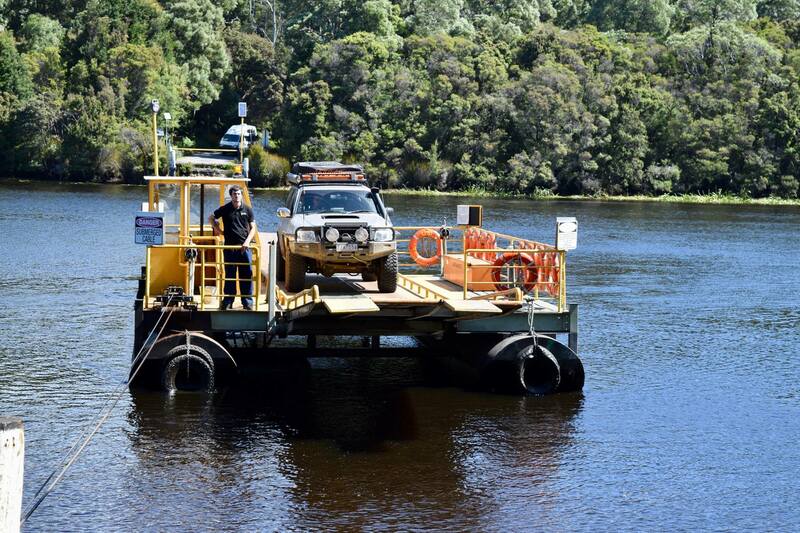 It’s a great touring vehicle and has withstood some solid tests out in the bush and along the tracks. 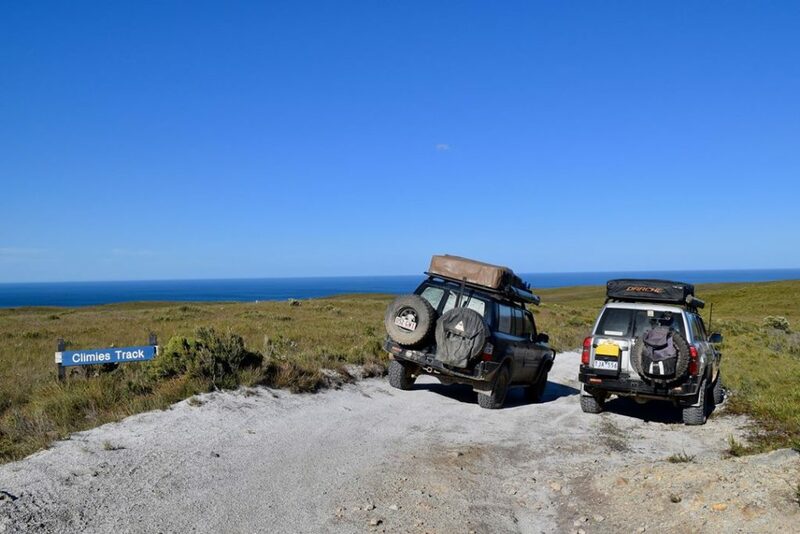 How old were you when you started your 4WD adventures? Eleven or twelve years of age while travelling with my family. What was your first 4WD/touring vehicle? I brought a short-wheelbase Land Cruiser when I was twenty and used it mostly as a work car. After just a few day trips four-wheel driving in the local area, I ended up hooked, and the rest is history. Who inspired you into this ‘adventurous’ lifestyle? Mostly that came from family; we used to go camping a lot when I was younger. There is nothing better to get away from the city lifestyle, light a fire and relax under the stars. There is so much to see and do in Australia, that you just need to make one plan at a time to get amongst it. What has been your all-time favourite 4WD track in Australia and why? Probably the Climies Track on the West Coast of Tasmania. I’ve done it twice now and really enjoy it. The first time was with good friends a few years back, and the most recent was in February (this year) with John and Tammy from Winch and Unwind. I think it’s challenging without being too risky, the views along the track are incredible and the history of the area is interesting. Can you tell us the most bizarre experience that you have encountered on your current Big Lap? We brought a mate a short Pajero for his birthday for about $1200, and during a trip to Kinglake, we managed to get a stick stuck in the carby. As a result, we were either full throttle or had to turn the car off all the way out of the bush and home. Fondest memory while out exploring Australian roads? If it’s not recovering Landcruisers (Ha!) it would have to be the various adventures I’ve had with good mates. In a forest next to a freshwater river/creek that leads to the ocean. What Australian Tracks are on your bucket list? The Cape this year and hopefully the Gibb River Road in the next year or two. 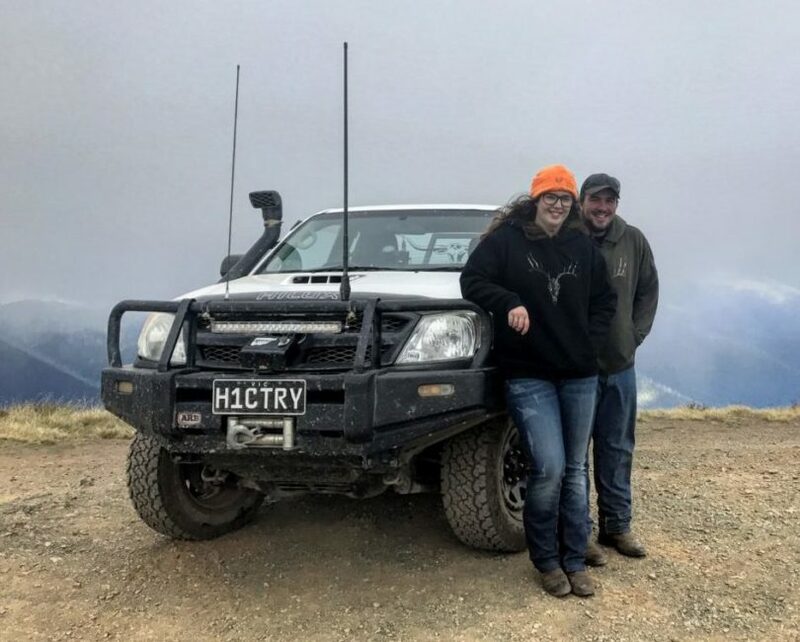 What would be your advice to new 4WD enthusiasts? Just get out there and enjoy it regardless of how much you can afford or the set-up you have. Tailor the trip to suit and just go and have fun! Name one product you wouldn’t leave home without? 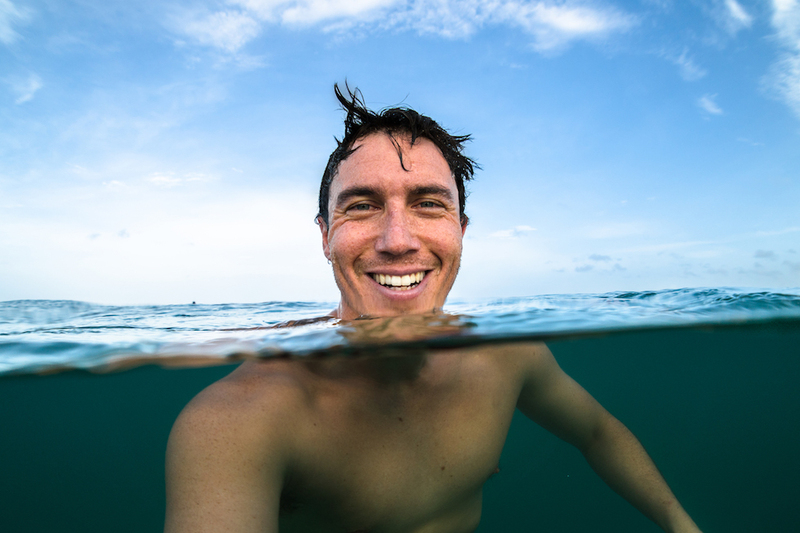 Connect with Kyle on Instagram and follow his adventures. Would you like to share your story? Have a favourite track that others should know about? Leave your name in the comments below and we’ll be in touch.